Home » Govt Jobs » Govt Jobs 2015 » Jobs for JRF Zoology » Jobs In Delhi » Jobs in Indian Agricultural Research Institute. 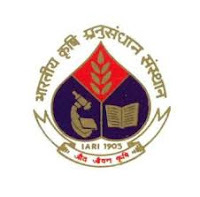 » JRF Zoology jobs in Indian Agricultural Research Institute (IARI) in Delhi. JRF Zoology jobs in Indian Agricultural Research Institute (IARI) in Delhi. Project Title : DST-funded project entitled "Demonstration of nematode management technologies and farmers' training under rice-wheat cropping system"
Labels: Govt Jobs , Govt Jobs 2015 , Jobs for JRF Zoology , Jobs In Delhi , Jobs in Indian Agricultural Research Institute.